October is a full month at the studio – we are in the middle of FREE Dance Days and Costume Week is right around the corner! In the middle of such a busy season, it’s so refreshing to take a few minutes to step back and read through the nominations for Dancer of the Month from our teaching staff. Choosing the dancers honored each month is difficult – but what a great challenge to have! 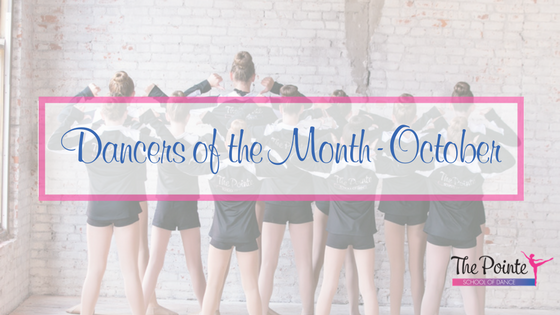 Here are October’s Dancers of the Month! Dance & Discover: Nora W.